On [yet another] snowy day of 2015, Brain Hubert sat down with Patrick Wadden to discuss the history of Arm Of The Sea mask and puppet theater. The venue was fitting for seasoned story-teller being interviewed. Colorful books were the backdrop at Saugerties’ Inquiring Minds Bookstore. Daily Freeman’s Brian Hubert readied himself with pen and paper as the master of mask theater shared the origins of what has become Hudson Valley’s ultimate performance art. The full page Daily Freeman article features a series of photos by Tania Barricklo. 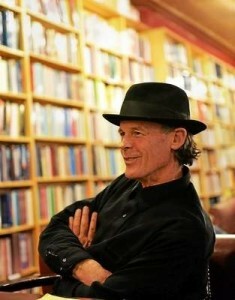 The interview took place at the Inquiring Mind Bookstore in Saugerties, NY.